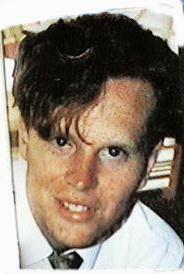 Dennis has been missing from the family home in Limerick since 9 March 1996. Dennis is 6 feet tall, eyes are blue, hair is fair and build is medium. He left the house one afternoon and never returned. Despite items on TV and in the newspapers, where some suspected sightings were reported, we have heard nothing from him since. Obviously we would very much like to hear from him if he is still alive. In the first six months after his disappearance, there were a number of reported sightings of Dennis some around Limerick and also in Ennis and Dublin. A person like him was also reported boarding the Isle of Man Ferry at Belfast. But nothing has come so far from these sightings and there have not been any more sightings since. Above information has been placed here at the request of Dennis' family. Any sightings of Dennis should be reported to the Gardai in Limerick (Mayorstone) Phone +353-61-456980.